Bioindicators plants are important for the evaluation of air quality and Tillandsia usneoides L., an atmospheric epiphyte bromeliad, has been used for this purpose. The present study aims at evaluate the structural pattern of the leaf of this species when exposed to urban air pollutants, and determining whether the leaves present structural parameters that could be used as indicators of such pollutants. Samples of T. usneoides were exposed in São Paulo, the biggest city of Brazil, for 8, 16 and 24 weeks, and compared with others kept in a rural area. The urban pollution of São Paulo affected the structure of the leaves of T. usneoides causing alterations, especially in the scales, density of stomata and epidermis thickness. 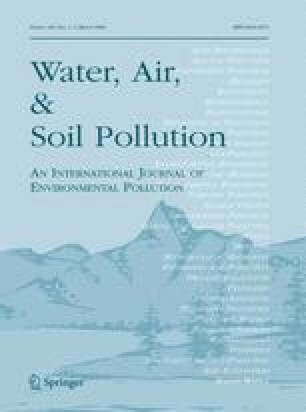 Qualitative alterations in the mesophyll were not observed in plants exposed at the polluted sites. These structural characteristics of T. usneoides seem to account for its high tolerance to heavy metal accumulation. The percentage of anomalous scales may potentially be used as an alternative bioindicator parameter. The authors thank CNPq (National Council for Scientific and Technological Development) for the research fellow to E.S Alves and to M. Domingos and the scholarship to B.B. Moura.